I gave bench pressing a try in the gym today to see if my injuries have healed enough. No dice. I’ve used light weight and worked my way up to 115lbs (far from the measly 200ish I was doing pre-injuries). As I fretted next to the bench about how long my progress will take, I thought of how I was able to do a few sets of 8 push ups ealrier in the week feeling some uh-oh pain. That’s 8 reps of me pushing my bodyweight of about 185lbs. So why am I wasting my time with bench pressing? I don’t mean to invoke DIY science but if bodyweight exercises are better for our bodies, core strength, balancing our muscles, etc. while bench pressing can create imbalances (yes, while I’m ignoring the benefits of bench pressing), maybe I should focus more on the stuff I can do and worry about the stuff I can’t. After all, I always felt a lot more robust and stronger after pumping out push ups than bench presses. My upper back is worked along with my chest while the bench press does nothing for my back. I’m not dissing the bench press. It’s one of the main compound exercises for building functional strength. I’m just thinking that while I’m trying to recover and bounce back form many injuries (at my age), I should be thinking of what would benefit my body the most. Did you know that your body talks to you? Ok, my intention is not get all new age hippy dippy on you but once I got into the swing of things with strength training in 2013, it really did feel like my body was talking to me in a sidekick sort of way. When building your strength using compound movements that utilizes your body’s natural movements (like squats, deadlifts, pull ups), your body becomes, well, functional. Moving furniture becomes easier because, for example, you’re already used to the form of squats (legs bent, back straight, core braced) almost without thinking you get into that proper form and with your increased strength, you’re able to push or pull or lift. And you will feel like your body is helping you. Hence, the sidekick and the “talking” part. I was helping my parents move a particularly heavy dresser drawer last fall when I first experienced this. I suddenly found myself getting into almost the deadlift postion (almost similar to the squat) and gripped the behemoth. And then another sudden epiphany. It was as if my body was saying to me “I’ve got your back. On three…”. Since then, I was in tune with my body. I think I’ve finally understood what “aligning your mind and body” means. Before I got into strength training, moving furniture was a clumsy ordeal for me filled with fear of throwing our my back and losing body parts. Things are in harmony when you treat your body right. I was built this way to move this way. That’s why I’m such an advocate for squats, deadlifts, pull ups, all the compound movements which use your body’s natural movements. It’s a great feeling to be self-aware in this way. My classmate, Danny Lombardi, happened to blog about a similar topic last week. In If you owned a Ferrari, would you use only first gear?, Danny talks about how we just aren’t made to sit all day in a vehicle on our commute to and from work, at a desk for 8 hours or so at work, or on the couch after dinner time. Danny uses his camping experiences to explain how our bodies are capable of allowing us to do “sustained, high-output work” and really amazing things (for example, look up calisthenics or street workout on YouTube for examples). Your thoughts? Have you ever experienced a total awareness of mind and body in a way that you have never expected? Holy cats! I can dip! In case you don’t already know, I’ve been blogging about my slow recovery from a few injuries in the gym (tennis elbow, torn biceps, rotator cuff injuries to name a few). So it’s a big deal to me that this morning I braved it and took a chance at seeing if I could perform one of my favourite exercises, the dip (see above video). I did 5 reps, took a rest, did 5 more, took a rest and did 3. Pain started to come but it went away. And I felt pumped and strong. How I missed that feeling. And all I did were 3 short sets. It felt good! My chest and triceps felt back to normal. This is something I’ve been noticing lately. You don’t have to do a large amount of sets or reps. Ok, I always knew this about barbell training but does it apply to bodyweight training? I always see bodyweight routines with high numbers like 30, 50 even 100 reps of multiple sets. Before my injuries, my aim was 75 dips in total. That’s a lot to strive for! I guess. I see others do it. I wonder what benefits you receive with 75 dips vs. 5 sets of 5? Is it endurance? Is there more strength somehow? Perhaps it’s simply larger muscles? I know crossfitters love this concept. For years I’ve been eagerly trying to get cut up, bulk up, push up, eat up, bla bla bla only to injure myself into feeling I have to work full time as a bodybuilder or, ugh, fitness model, and eat like a bird in order to achieve my goals. What average person has that kind of time? I appreciate learning about the video above (hat tip to rosstraining.com). I’ve frequented bodybuilding forums over the years where everysooften a guy would share his experiences in posing for a bodybuilding product ad. The story was always the same – a few days before the photo shoot, the model would change his diet so he was down to a dangerous bodyfat percentage in the low single digits. Meanwhile, the rules for advertising a gym product dictated that the model had to have used it at least once. So a few reps or a scoop of whatever it was he posing with, and boom, you’re duped into thinking you, too, could have an impressive physique if you use the product. Yeah, I used this thing to get all big and ripped. Right. Genius video. I like how Furious Pete used the visual medium to show how anyone can make themselves look like a fitness guru. Even I experienced this myself. After a workout, I’d be quite pleased with my mirror reflection post-shower, pre-drying only to be saddened after a few days’ hiatus from the gym. That’s it. And the only other products you need are time and patience. Holy cats! I think I’ve kicked the sugar habit! If you live in Canada, you will no doubt recognize the evil temptress in the above photo as a box of Timbits from junk food chain Tim Hortons. I am both happy and surprised to say that I’ve actually resisted not one but TWO boxes of these on two consecutive days. I also resisted not one but two cravings for hot chocolate on not one but TWO consecutive days. I simply kept in mind what my gym goals are. In other words, I manned up and did the proper grown up thing and took the responsibility that I knew I had set myself to take. After, what, 15 blog posts of me saying how I caved in to short term body destructive pleasures, the last thing I wanted to do was write a 16th repost. 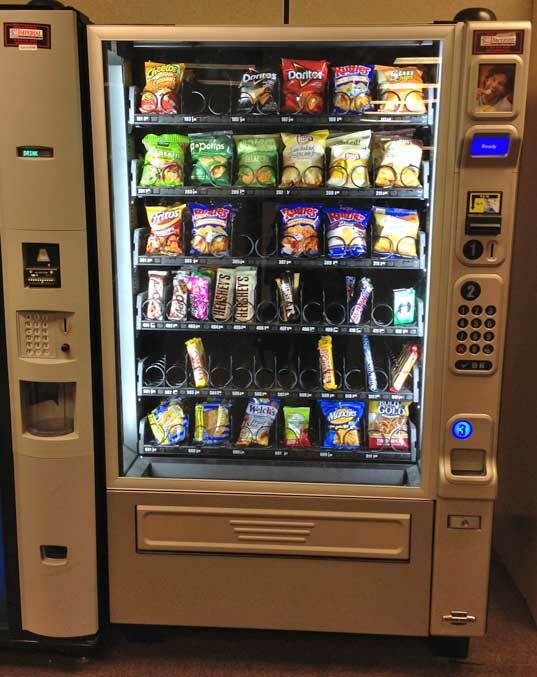 See the vending machine below? I had change in my pocket for a snack before my night school course and I had my eye on a certain spicy plantain bag but that eye lingered over to the beautiful Coffee Crisp. Temptation was seductive. “No. The coffee will keep me awake. And not to mention the nasty stuff the rest of the bar will do to me”. So I ordered the spicy plantain bag. No added sugar. No gluten. Bla bla bla. I wish I remembered the name (note to the branding department) but hey, I can always dip into the school for a fix. So I think I’ve finally reached my goal of going back to where I was dietary temptation-wise. Snubbing sugar and enjoying the sense of personal accomplishment of defeating the temptress. Have you recently reached a tough goal? Even if it has nothing to do with sugar or nutrition, I’d love to hear about it! Photo credit: Marco Crupi Released in Creative Commons. I’ve mentioned in previous posts that I have numerous injuries which I’ve been (im)patiently waiting to heal since last November. A recap for new readers: 2013 was a great year for me as I’ve discovered the benefits of strength training. Long story short, I enjoyed increased energy, increased confidence, a sense of capability, and I was stronger when helping out moving furniture and such. After six expensive visits to physio, I was given the green light to go back into the gym. BUT… yes, there is a but… I have to start from zero. That means I’m squatting, deadlifting, barbell rowing, military pressing with just the bar. No plates added. My physio therapist doesn’t even want me to touch the bench press. This is what I call the very definition of “checking your ego at the door”. And the very definition of “patience”. What a huge difference I feel in my mental health from regular strength training to having to keep away from it. And I intend on getting back into the former ASAP. But with patience. Suggestions on which exercises/routines I can do? My physiotherapist simply said start from zero then gradually add weight. “You’ll know when”. This isn’t good enough for me. I need a plan and goals. Strength training made it easy — add 2.5lbs per week. If at one point you just can’t do it, reduce and try again. For instance, the push up is one of my favorite strength building exercises. But I have to start with wall push ups. Then I can move on to the push ups you do on your knees before my recovering biceps can handle my full weight during regular push ups. That means burpees, another favorite of mine, are out for the time being. I can do leg exercises like lunges and farmer’s walks. Maybe even the leg press machine (though I prefer barbells and nothing beats the squat and deadlift). Anyone out there who has been there with the injuries I’ve had? Got a rehab routine I can do? Thinking hard about sticking to his goals. Get your 3D glasses for this one! Photo by Chung Chu. Click on image for more information. Today is the first day of Lent and it couldn’t have come any sooner. As I’ve mentioned in a previous post, I became so weak to the temptations of emotional eating and snacking and such due to my injury-prone exile from working out, that I’ve decided that I needed an intervention. Divine intervention, if you will. I won’t go into the details but in the Christian faith, Lent is a time of self-sacrifice from Ash Wednesday to Easter. Hence, why we have Carnival and Mardi Gras before the season. While, it’s more than the myth of “I’m giving up chocolate for Lent”, Lent is a time for us to rid of ourselves of sin through self-sacrificing (hence the giving up chocolate thing) to improve ourselves and grow closer to our faith. Self-sacrificing also means to help others. For the interests of this blog, I’ll talk about the first part. Improving myself. For instance, going to bed early so I can drag my behind into the gym at 5:00 in the morning to do my workout 3 times a week is a form of self-sacrifice. I couldn’t work out after business hours due to other commitments (and a very busy gym) so it was either 5:00 a.m. or bust. To my surprise, only a few weeks later I found myself enjoying the benefits of achieving my goals, higher energy levels, increased confidence and happiness. With my increased strength, I was able to help others out when moving furniture or moving firewood. I also ended up learning that I actually enjoy working out first thing in the morning! By 7:30, I had a feeling of accomplishment and was in a happier mood even driving through heavy traffic. Next thing I knew, I also developed a sense of I-can-achieve-anything-I-set-my-mind-to. Adding the timeframe of Lent to my current state of mental-toughness-down-the-toilet gives me a real, honest-to-goodness goal. “Ok. As of March 5th, I’m going to dedicate myself to going back to the way I was in 2013. No more emotional eating, no more snacking, and no more distractions from my strength goals. I don’t care how tantalizing, what the occasion is, I’m eating healthy and re-building my resilience”. After all, how can I be a good person to others if I’m feeling miserable from caving into emotional eating and such? Sometimes I need an event to kick me into gear. I was able to go back into the gym for the first time yesterday and… well, I have to start everything from zero. An empty bar. How’s that for sacrificing the fragile male ego in the gym? But I am looking forward to this year’s Lenten season. In the past it was always a pain in the neck. But as I’ve learned last year, the goal that I strive to achieving on Easter Sunday (and beyond) will be worth it. Let’s just hope I don’t injure myself again.